For the first time, Native American artists will be standing up to celebrate a major nomination during this year’s MTV Video Music Awards in the newly-added “Best Fight Against the System” category. The music video “Stand Up / Stand N Rock #NoDAPL” was recorded by Taboo of Black Eyed Peas and “Magnificent Seven” Native American artists from different tribes, including Zack “Doc” Battiest, Spencer Battiest, Emcee One, Drezus, PJ Vegas, SupaMan, Natalia Aka “My Verse.” The song serves as a statement of support to those who have embraced the Standing Rock Sioux Tribe in their fight against the Dakota Access Pipeline (DAPL). Native American actor Martin Sensmeier and pipeline activist Shailene Woodley also make appearances in the nominated music video. 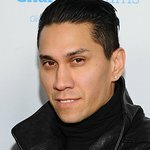 Taboo, who has Shoshone Tribe heritage, and other Native American artists including those from the Seminole Tribe of Florida, banded together to create the song, which is meant to serve as both a tool to promote awareness, as well as an anthem for the indigenous people across the country who have united in the effort against the DAPL. The video features real footage from the water protectors on the front lines at Standing Rock, and looks to rally people from across the country and draw together the Native communities of North America in an unprecedented way. The addition of the “Best Fight Against the System” category was added to the 2017 MTV VMAs to continue reflecting the audience’s passion and activism around social justice issues such as environmental justice, immigration, LGBTQ equality and racial justice. Fans can cast their vote now through August 27th at 3 p.m. as a means of supporting the Native American artists and spreading awareness of #NoDAPL and other indigenous resistance messages. The 2017 MTV Video Music Awards will air live from The Forum in Inglewood, Calif. on Sunday, August 27 at 8 p.m. ET.